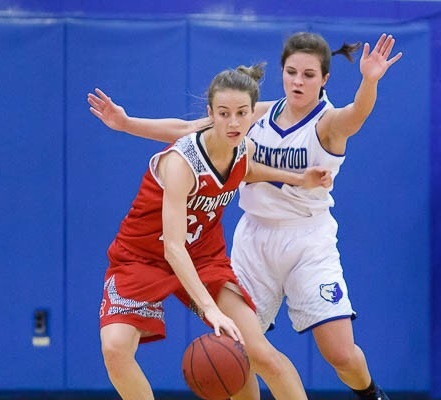 It was a good night for the Lady Raptors as they took down rival Brentwood 41-31 on Friday night in the first Battle of the Woods game of the season. Ravenwood outscored Brentwood 17-8 in the final quarter to secure the victory. Kiera Downey overcame early foul trouble to lead the team with 12 points. Catie Jett chipped in with 7 points and a great effort on the defensive end. Emma Altizer, Margaret Gleason, and Taya Lee all put in 6 points for Ravenwood. Kristen Murray contributed on both ends of the floor in the win as well. Ravenwood will host Centennial on Tuesday night, game time is 6 PM with the boys game to follow.